We’d love your help. Let us know what’s wrong with this preview of Grand Master Little Master by Patricia Merker. To ask other readers questions about Grand Master Little Master, please sign up. Introducing...a way to talk with the children in your life. Whether you are a parent/grandparent, aunt, cousin, teacher/professional working with youth, within are ways to address life issues in healthy, easy-to-understand story. And, as author Patricia Mercer knows well, those reading children's books with the kids touching their lives learn right along with them! Perhaps you -- living and working with kids -- have not yet articulated that how we act, how we speak causes things to "happen back" to us. 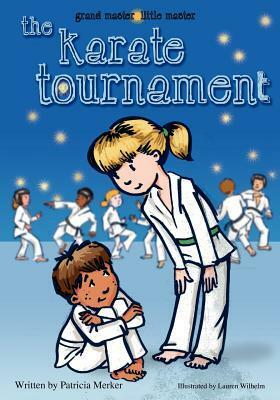 The Karate Tournament book gently shares that easy, realistic acts of kindness can cause your life to be happier! 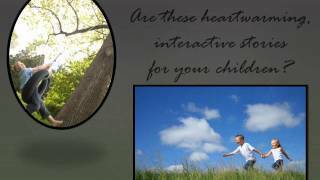 Additionally, after you incorporate these books into your quality child-time, you might expand to the free, engaging learning tools on www.TheGrandMasterLittleMasterSeries.com. Reasonably priced and power-packed with gentle resources, this new series offers you, within your relationships, simple ways to learn great things along with the young people in your life. David and I have five children and I can tell you it is a zoo at our home most days. Everyone has their own agenda including the two of us and wow life is crazy. Teaching values and how to be a good person is a full-time job and yet sometimes it gets lost with all the other things the kids need to learn and do. This series is a nice reminder of what is truly important for kids to learn. Compassion for others, what comes around goes around, love and why they are here on this Earth to begin with. The series in not overly religious, the name God is never mentioned at all. Grand Master is the one that is in all of us, the one that helps us determine right from wrong and the one who helps us determine who we are in the scope of this world. Grand Master wants us to succeed and share what we learn with others. Kids need a foundation in which to learn and grow, they need to know someone cares for them. Grand Master can give them a feeling of control and of love. Who doesn’t need to be loved? Well I sure do! This series of three books so far is well worth your time and your children’s time. My 9 year old son read the books to me and we both really enjoyed the last one the best. Love is something we all want and need. Some people just don’t get enough and even don’t love themselves. After reading the book we had a quick discussion about a boy at school who was a bully, my son put together that maybe he didn’t love himself enough to be kind to others. Bingo! One read through and he got it…he understood something that took me years to get. This series is fast to read and interactive if you want it to be. Kids learn and you learn to be a better parent and a better person. We are passing these books on to others so they can also learn what we have. Give this series a try…what do you have to lose? This book is great because it really gets into the head of a young child. As adults, we try to help our kids solve their problems using "adult" solutions, and kids just don't always relate to that. Kids typically are good and naieve so to speak, so this way of introducing the Grand Master seems to be a just another way to relate to a child allowing them to learn how to deal with their fears and concerns without feeling inadequate because they are having such feelings. I have been able to apply t This book is great because it really gets into the head of a young child. As adults, we try to help our kids solve their problems using "adult" solutions, and kids just don't always relate to that. Kids typically are good and naieve so to speak, so this way of introducing the Grand Master seems to be a just another way to relate to a child allowing them to learn how to deal with their fears and concerns without feeling inadequate because they are having such feelings. I have been able to apply these techniques with my kids in a sense.........and I find the result is much better for them when they are involved and controlling the situation instead of Mommy and Daddy "fixing" eveything. I love how the author has found a positive, and gratifying way to impact kids by coaching the parents!! This book was a learning tool for child that are too young to know right from wrong.The pictures were colorful that it made my child pay more attention to it.